These easy-to-swallow softgels are a natural source of GLA (Gamma Linolenic Acid). Our EPO contains one of the most biologically active forms of this Omega-6 fatty acid available today. 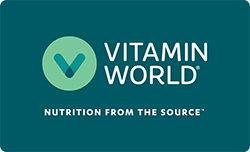 The EPO used for Vitamin World is 100% pure, solvent free, cold pressed and void of hexane and other solvent residues. Directions: For adults, take one (1) softgel up to six times daily, preferably with meals. Warning: If you are pregnant, nursing, taking any medications, planning any medical or surgical procedure or have any medical condition, consult your doctor before use. Discontinue use and consult your doctor if any adverse reactions occur. Keep out of reach of children. Store at room temperature. Do not use if seal under cap is broken or missing. The consistency of potency is guaranteed by assay. Evening Primrose Oil 1,000mg is rated 5.0 out of 5 by 1.